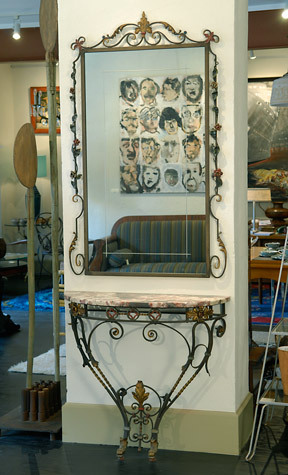 Painted wrought iron mirror with floral design. With a marble top console. Italy. Please contact us for more information or detailed photos of this piece.